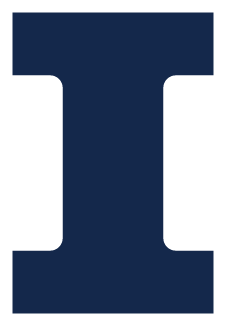 The IBM-ILLINOIS Center for Cognitive Computing Systems Research (C3SR) is partnering with the ISUR program to launch Undergraduate Research in Artificial Intelligence (URAI). The new initiative, ISUR C3SR-URAI, will provide two-semester research experiences to domestic and international students. C3SR-URAI scholars will be assigned to research projects focusing on fundamental cognitive computing and AI science, applied AI engineering and technologies, and practical AI solutions and systems. They will receive the same benefits as any ISUR scholar, such as $1000 research scholarship for the academic year ($500/semester), participation in research seminar series luncheons, and presentation of research projects in the year-end ISUR Poster Expo. They will conduct cutting-edge AI research at C3SR with guidance and mentorship from distinguished C3SR faculty and experienced graduate researchers, and have the opportunity to publish scientific papers in leading AI international conferences. In addition to enrolling for the required ENG 199 UGR class (Undergraduate Research Seminar), C3SR-URAI scholars are required to register for independent study credits with their C3SR faculty mentor. For more information about C3SR, please visit their website at www.c3sr.com. Women, first-generation students, and students from underrepresented minority groups are encouraged to apply. For application inquiries, please contact the ISUR program director, Dr. Natasha Mamaril at nmamaril@illinois.edu.